Whether our three-legged hero lost a leg to cancer or something else, amputation often causes us to re-examine what we put into our pet’s bowls at mealtime. 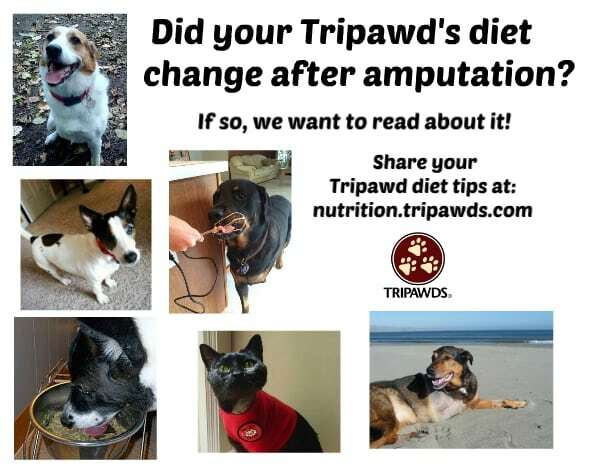 Through the years many Tripawds members have generously shared their Tripawd’s diet plan like the ones you see below. Here’s the best of them (so far) and we hope that you’ll chime in with yours too! We are especially in search of more Tripawd cat diet tips! Why did your pet lose a leg? Was it cancer or something else? What was your dog or cat’s diet like before amputation? How has amputation surgery changed your pet’s diet? Are you feeding an all new kibble? If so, which one and why? 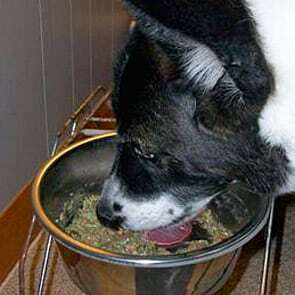 Did you decide to supplements to your pet’s meal? How does your dog or cat like the new meal plan, and supplements if applicable? Are your other pets on a new diet too? 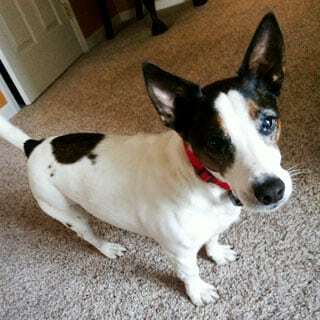 For now, let’s take a look at what other Tripawd parents have shared through the years. Do their diets look like your pet’s? These blog posts contain affiliate links. When you click and shop through them, you help keep the Tripawds Nation free for everypawdy. Thank you! 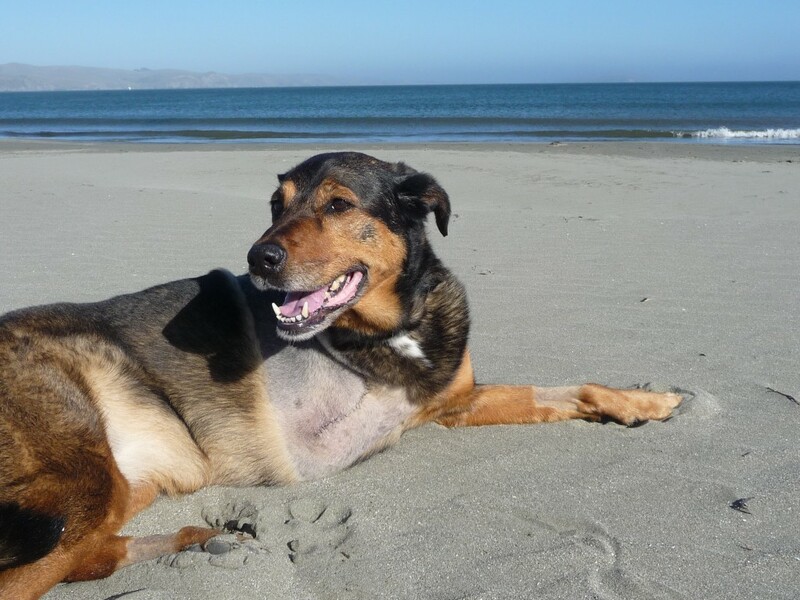 Casey shares her healthy canine cancer diet and supplements nutrition plan including Dr Pitcairn’s Healthy Powder recipe and links for saving on hard to find supplements online. 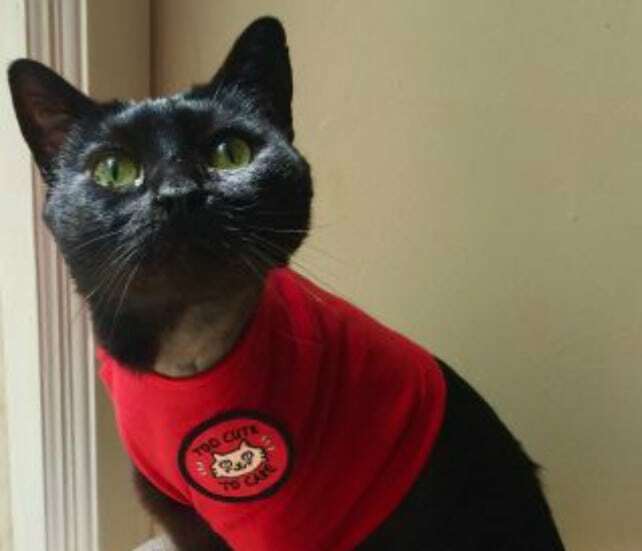 TriKitty Maceo lost his leg earlier this summer to a fibrosarcoma tumor so his humans decided to switch up his diet and make it as healthy as pawsible. 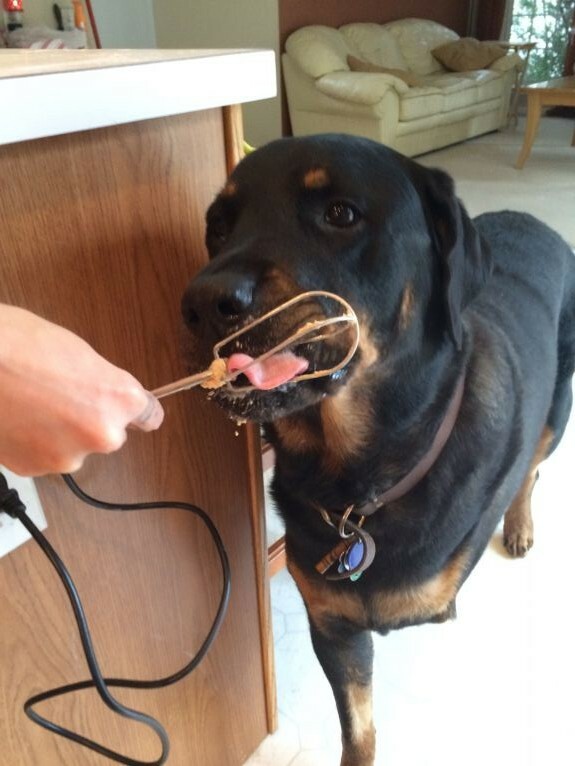 Bentley the Rottweiler shares his anti-cancer holistic diet and supplements to help fight osteosarcoma. PJ’s mom sent us these details about his canine cancer nutrition plan. Lylee’s Mom posted in Lylee’s blog about the foods and supplements she’s using to fight cancer and we thought it was worth sharing. 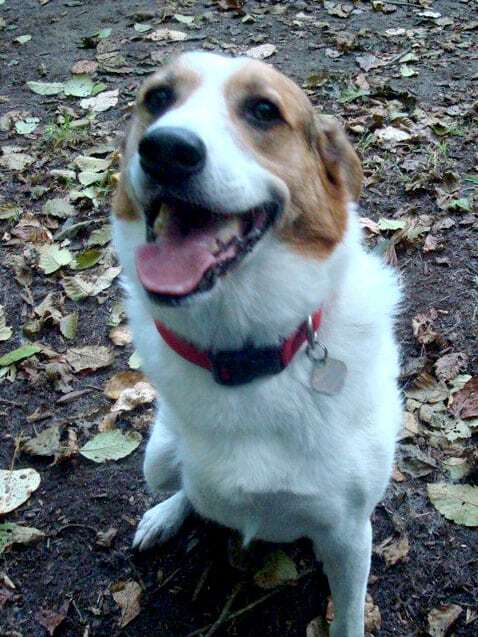 We need more Tripawd diet ideas for the blog, so send yours to us today!